//	Google Pixel 2 vs. Moto X4 - Which Google Project Fi phone should you buy? Google Pixel 2 vs. Moto X4 – Which Google Project Fi phone should you buy? A few weeks ago, Google Project Fi was only supported on five Google phones, including last year’s Pixel and Pixel XL. Today, the wireless service is supported on an additional three devices, namely the Pixel 2, Pixel 2 XL and Lenovo-made Moto X4 Android One, bringing the total of supported devices to eight. Usually, pitting the Google Pixel 2 against the Moto X4 Android One wouldn’t be on anybody’s list of to-do things. Where the former is a high-end phone, the latter is a sub-$400 handset that lacks any of those high-end specs and features found on the Pixel 2. If anything, the only thing that puts these two together is the support for Google Project Fi, which is, in fact, the reason for this article. Even though the OG Pixel is still available for purchase, we all know the phone has been plagued by availability issues during the year it has been around. With this in mind, the best chance for those who want to enjoy the full-blown services of Google Project Fi is these two phones – the Pixel 2 and Moto X4. So which one should you buy? Let’s take a deeper look at the pair. Despite the existence of many aspects to look at in a phone, the ultimate decision comes down to price. The Google Pixel 2 can be yours for $649, but with the Moto X4, you save a few bucks thanks to the $399 price tag. To find out exactly what this price gap means, read on. Looking at the trend in the high-end smartphone industry, these two aren’t as beautiful in any way, especially looking at the chunky bezels that give them a rather traditional feel. Given the mostly metal build of the Pixel 2 that is joined by an aluminum chassis with a powdered finish, you can be sure of better durability compared to the Moto X4’s glass build. Google has always had a rear-mounted fingerprint scanner on its phones. For those who had gotten used to this, it may take time to adapt to the front-mounted version on the Moto X4. The good side of the story is that the latter has a 3.5mm audio jack, a feature you won’t find on the Google Pixel 2, which relies solely on the USB Type-C port. Still, you don’t have to worry about using either phone around water pools, kitchen sink or even when in the shower, but the Moto X4’s IP68 certification fairs on better than the IP67 rating of the Pixel 2. As for the display, the Google Pixel 2 has a 5-inch 1080p AMOLED screen whereas the Moto X4 has a slightly bigger 5.2-inch LCD panel with the same 1080p resolution. Even though both screens are great, keep in mind that you always get what you pay for. Like any other LCD panel, though, the X4’s screen is much brighter than the Pixel 2’s OLED panel. While the Google Pixel 2 ships with a single-lens camera setup on the back, one of the selling points of the Moto X4 Android One is the dual-lens camera. However, let none of these figures mislead you. The X4 has a dual 12MP+8MP combination while the Pixel 2 has a single 12MP lens, however, the latter performs consistently better than the former. You’ll love how vivid the colors are on the Pixel 2 and so is the white balance, contrast and low-light performance, partly thanks to the wider f/1.8 lens. Due to the more powerful Snapdragon 835, the Google Pixel 2 is much quicker to capture photos with sharper output that is also less grainy. The same cannot be said of the Snapdragon 630-powered Moto X4. Both phones can shoot in Portrait Mode and even though the dual-lens setup on the X4 makes working with the feature a lot easier, the results are still bettered by the Pixel 2. In terms of battery capacity, the more power-efficient Snapdragon 835 comes at the center of things once again. The Moto X4 has a bigger 3000mAh unit compared to the 2700mAh unit found on the Pixel 2, but the latter should deliver even better battery life, especially when the display screens are also factored in. The 5.2-inch LCD panel on the X4 is way brighter with 513 nits compared to the Pixel 2’s 346 nits, which also means battery consumption on the former is higher. Even though you don’t get wireless charging, both handsets support fast charging technology that gives you up to 6 hours of power in just 15 minutes of charging. As already pointed out, the Snapdragon 630 processor on the Moto X4 is no match for the powerful Snapdragon 835 running the show on the Google Pixel 2. This isn’t to say the X4 isn’t a good chipset, but it’s just that it’s a midrange processor and thus you can expect equally midrange performance. The X4 has 3GB RAM while the Google phone ships with an extra gig of RAM. Looking at several benchmarks, the Google Pixel 2 expectedly comes out on top. Even though this doesn’t represent real-world performance, the Moto X4 isn’t your phone if you are the type that pushes their phones (too hard) by frequently switching between apps, playing games, streaming videos and other resource-intensive tasks. In terms of storage, the Google Pixel 2 has two options – 64GB on the base model and 128GB on the high-end variant. The Moto X4, on the other hand, has half the storage size, but this can be expanded using a microSD card of up to 2TB. For the software, the two phones are different. The Moto X4 Android One is based on the 2016 Android Nougat while the Pixel 2 runs Android Oreo out of the box. Still, there’s little to worry about because Google has promised that the X4 will get an update to Oreo before the close of the year. The fact that the X4 is based on Android One also means that it will be receiving regular software updates at about the same time as the Google Pixel 2. Even though the Android One phone is touted as running pure Android, this isn’t the case, actually. There are a few Moto-based customizations baked into the Moto Actions app, which is the only departure from the pure Android experience you get on other Google devices. 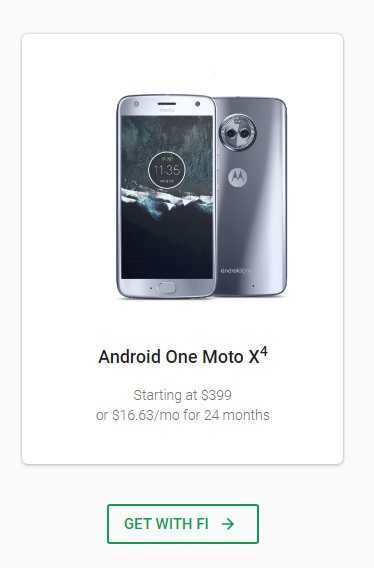 Most importantly, owning the Google Pixel 2 guarantees you get an extra year of software updates over the Moto X4, which should only manage 24 months of software support. Which Google Project Fi phone should you buy? Now, after looking at the two head-to-head, it’s time for the hardest part – deciding which phone to buy: Moto X4 Android One or Google Pixel 2? Admittedly, the Moto X4 feels like a reborn Nexus program, where you get a phone that is designed by a third-party Android OEM, it’s fairly powerful, has an affordable price tag and runs a non-altered Android OS. There’s no doubt that the Moto X4 is a complete phone, but this will depend on the side of the table you are sitting. On the other hand, the phone has its fair share of compromises led by the unconvincing camera quality, a not-so-good display unit and an underwhelming processor compared to the Google Pixel 2. But this is exactly why the Pixel 2 has a $250 premium over the X4. If any of these Pixel 2 goodies are what you want in a phone, don’t be afraid to shell out the extra cash and get the premium handset, but depending on your needs, especially if you are looking for a cheap phone that supports Google Project Fi, the Moto X4 may still suit you just fine. What do you think about the Moto X4 Android One and Google Pixel 2? Let us know in your comments below. 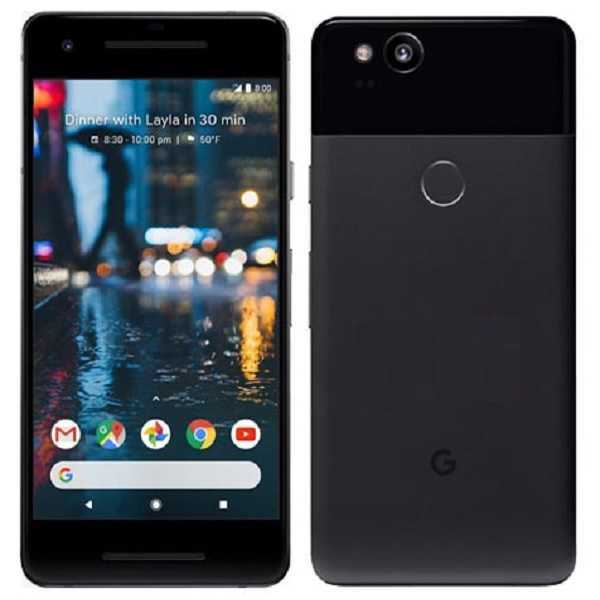 Previous Previous post: Is the Google Pixel 2 good enough for iPhone users to switch to Android? Moto X4 is plenty of phone with good battery life; nice bright picture using LCD instead of burn-in susceptible AMOLED; and both 3.5mm audio jack and micro-sd storage. And the denigrated glass back and camera hump is negated by a $10 protective case. And the cheaper price was a nice bonus. It was a nice Project Fi capable upgrade from my no longer supported Nexus 6.